I spend three hours commuting every day. Granted, I am sure this is not nearly the longest commute in the world, but it certainly isn’t the shortest. Whether you spend hours or just minutes commuting, it can be frustrating to know that this time isn’t being used as productively as it could be. Thinking strategically about how you can spend your commute and what you want to accomplish will enable you to maximize your time. Here are a few ways to approach this universal conundrum. First, you have to start by thinking about what you want to feel like during your commute. For example, in the morning are you still in the “waking up phase” or is your mind sharp and ready to go? When you are coming home, do you need time to decompress or is it ideal to bang out those last few tasks so you can start the next day with a clean slate? Having an understanding of your personal preferences will keep you from forcing yourself to do something that may accomplish a task, but not actually serve the needed purpose. Once you’ve determined the feeling you want, you can brainstorm some ways to achieve it. If you want to spend the morning getting into a good mindset for work, perhaps you can listen to podcasts about your industry or professional development. Maybe you want to slowly wake yourself up so a guided meditation is the way to go. I’m a believer that forcing yourself to do what you think you “should” be doing is a mistake. 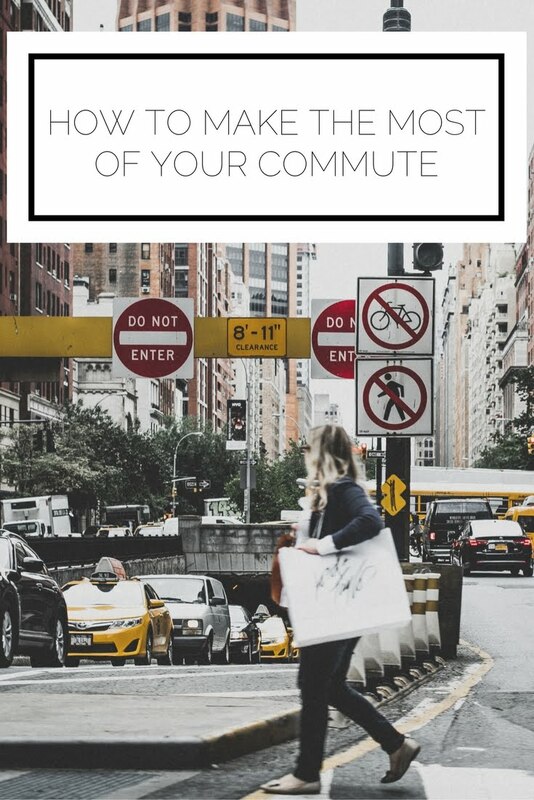 Align your priorities with your actions to get the most out of your commute! If you are taking public transportation, like a bus or train, you are pretty unlimited in what you can do. Reading, pulling out your computer, closing your eyes…they’re all fair game. If you are driving, you are restricted to audiological pursuits. You may need to think a bit more creatively depending on the situation. Read. Read all of the things. Chat with the person next to you and make a new friend. Don’t let this valuable time go to waste. Think about your feelings, priorities, and the setting in order to decide on your activities and begin to reap the benefits of a fulfilling commute.